A larger Juntos that could probably serve for a small bakery. In these two pictures, Paul Anderson is in green (on left) and George Wolf is in red. This is my report on the February 2002 developments with the Juntos (Together) stove. 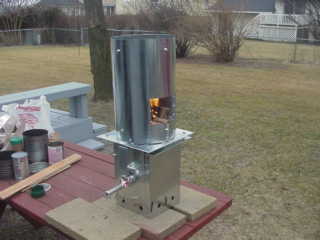 We are making some progress on the Juntos stove.